Effortlessly collect, show and manage customer reviews with the one and only Trustbadge® technology for your ACTINIC website! Once integrated, it updates automatically. 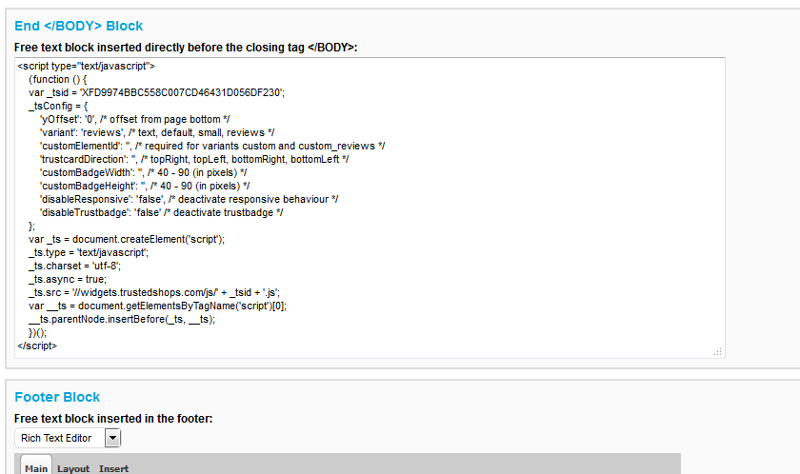 From the Back end of your ACTINIC shop, click on Site and select Properties by language. Click on Edit and scroll down to the input field End Block. Insert your personal integration code into the field and save your changes. Save these settings by clicking on Save.